What's Up with A/C Tune Up Prices? It‘s air conditioning Tune Up time and advertised prices are all over the board. 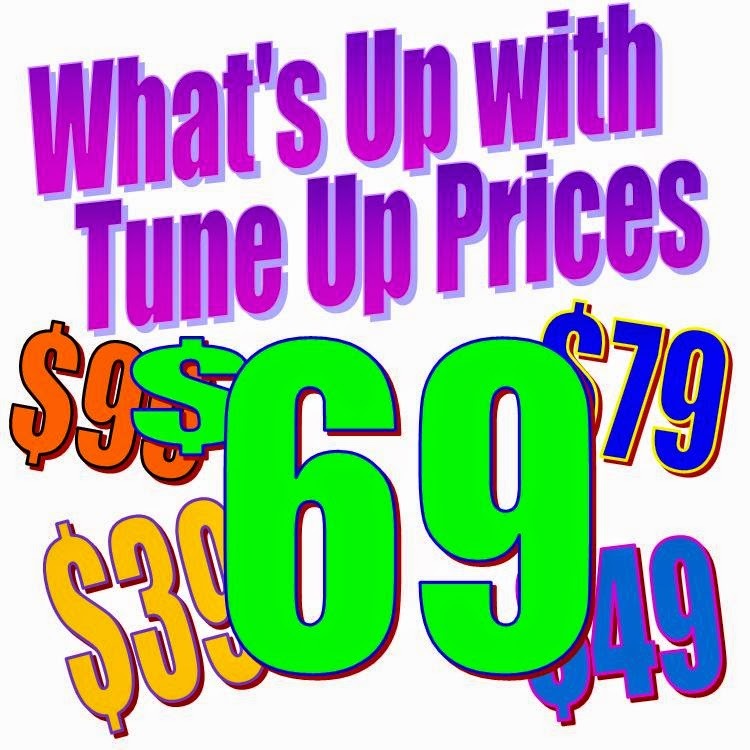 $29 A/C tune up, $39 A/C tune up, $49 A/C tune up. Then there’s the so called “Special $79 tune up, normally $169”. Then you’ll also see $69 to $89 tune ups. So what’s the best deal? First let’s see what’s included in a tune up. A reputable company normally has a checklist of items the technician performs. Ask the technician for a copy of the checklist when the tune up is complete. · Type of refrigerant, there are two common types, R22 and R410. · Outdoor temperature at the time the A/C is being serviced. · Clean and lube the furnace motor. The furnace motor circulates the cool air and needs to be serviced. · Clean or replace the furnace filter. A clean filter is vital for the air conditioner to operate properly and efficiently. · Oil the condenser motor. This is the fan motor on the outdoor unit. · Check condenser motor and compressor amps. High amperage draw indicates a problem. · Wash the condenser coil. This coil is part of the outdoor unit. · Check for spiders in the electrical contacts. Sounds strange, but those little buggers cause problems. · Check refrigerant levels. A tune up does not include adding refrigerant. If your system is low, expect additional charges. Heads up, refrigerant prices have skyrocketed in recent years. · Check temperature differential. This is the temperature drop from the room temperature air to the air temperature coming out of your registers. Normally it’s an 18 to 21 degree difference. More or less may indicate problems. · Check Superheat. This indicates how much heat is being removed from the home. · Check thermostat settings and calibration. · Confirm the supply air and return air vents are not covered or blocked by furniture. Now for the price . . . All I can say is “Buyer Beware”. Prices too good to be true normally are. Many companies use the low price to get in your door then SEARCH for a reason to sell new equipment. Some even use high pressure techniques to sell goods and services you didn’t ask for. At Manwill Plbg & Htg, when you pay for a Tune Up, you get a Tune Up. Early Bird Specials run $69 now through April 30, 2014. In-season price is $79. Our tune ups include all items on the checklist above. We do occasionally find problems that cost additional to repair, such as low refrigerant, but only under rare circumstances do we find a problem severe enough to recommend new equipment. We’re not out to sell more than you ask. We’re at your home to perform a tune up, just as you asked. So this season, before you fall victim to “low price tune ups” call Manwill Plbg &Htg. Our goal is to provide a complete and thorough service to your full satisfaction, and hopefully next time you need a new furnace, air conditioner, water heater, or any other HVAC or Plumbing repairs, we’ll be the one you contact first. Call us now for our $69 air conditioner tune up through the end of April, 801-262-4671.